Daiso – My New Favourite Shop For Teaching Resources! I just made my first visit to the Japanese shop Daiso and it was very successful! 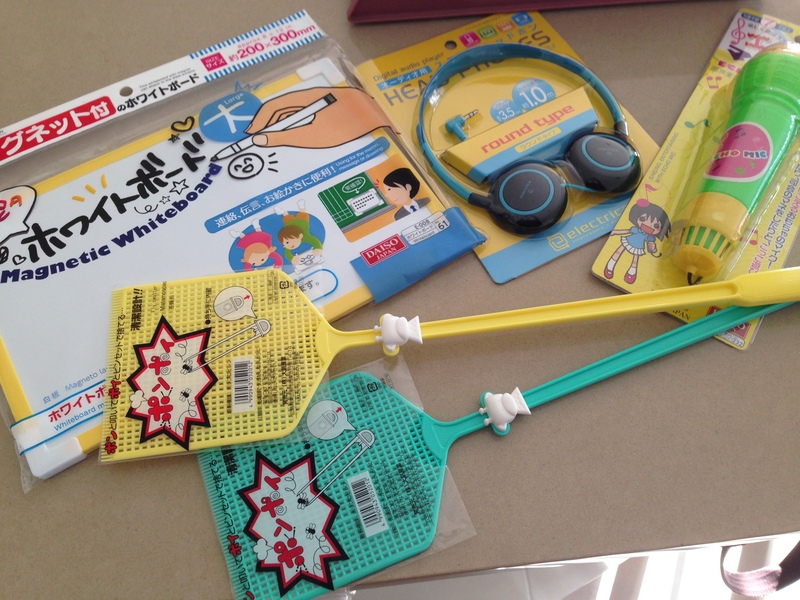 Everything in the store is $2.80 so I went a bit crazy buying mini whiteboards, headphones, pens, fly swatters (for classroom games) and a toy microphone. So, if you’re looking for a whole new range of fun and cute additions to your classroom, try it!